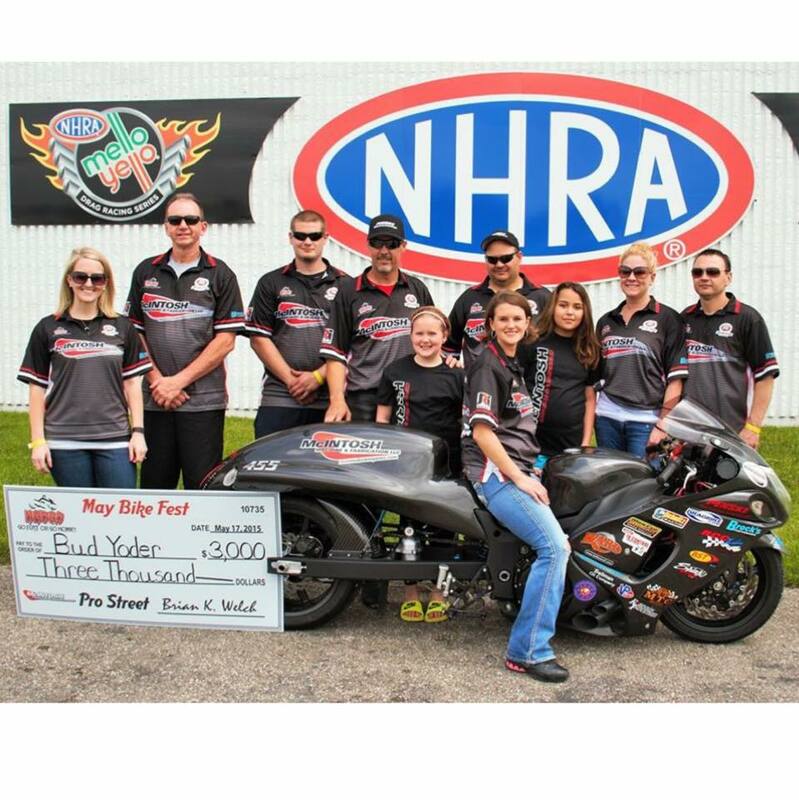 Where will the Pro Street record stand at the end of 2015? There are some races known for record-setting performances on the horizon. In the first half of the season in 2014, Pro Street competitors were racing to be the first in the 6.80-zone. 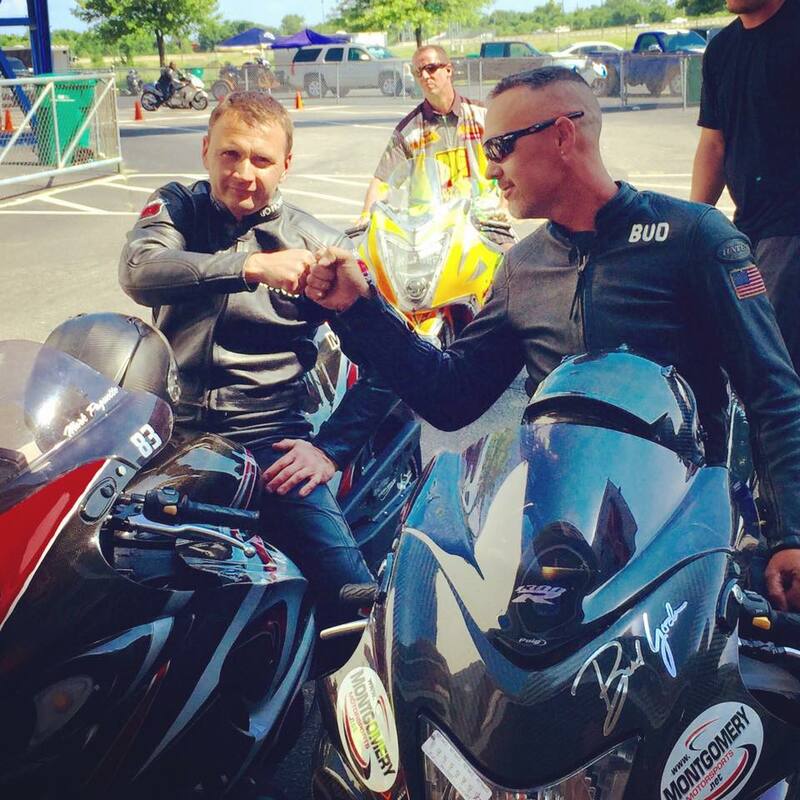 Performance increased dramatically by the end of the season when Jeremy Teasley lowered the national record to a 6.84 at a NHDRO event in Indianapolis. 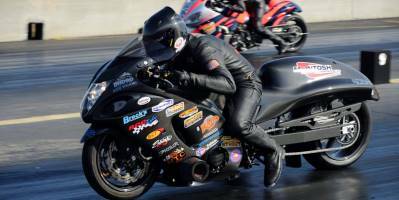 Less than two weeks later it was the veteran chassis builder Terry McIntosh and skilled rider Bud Yoder who captured the coveted record, edging out Teasley with a 6.83 at 205 mph at the MIROCK Fall Nationals. 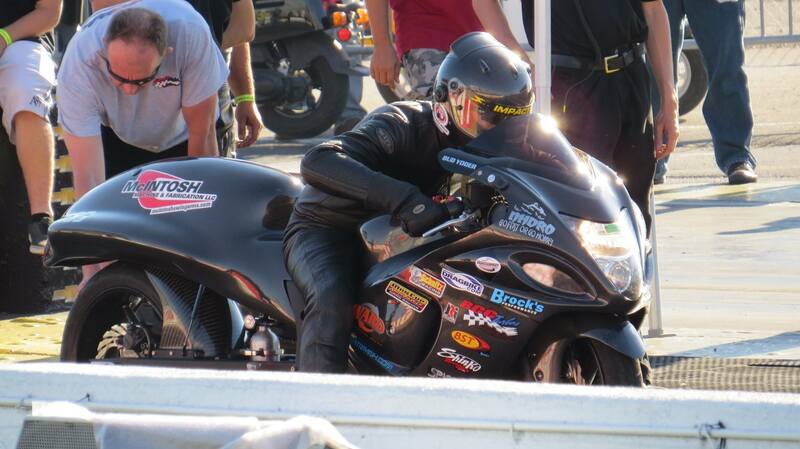 Terry McIntosh checks the tire on Bud Yoder’s McIntosh Machine and Fab Pro Street bike. 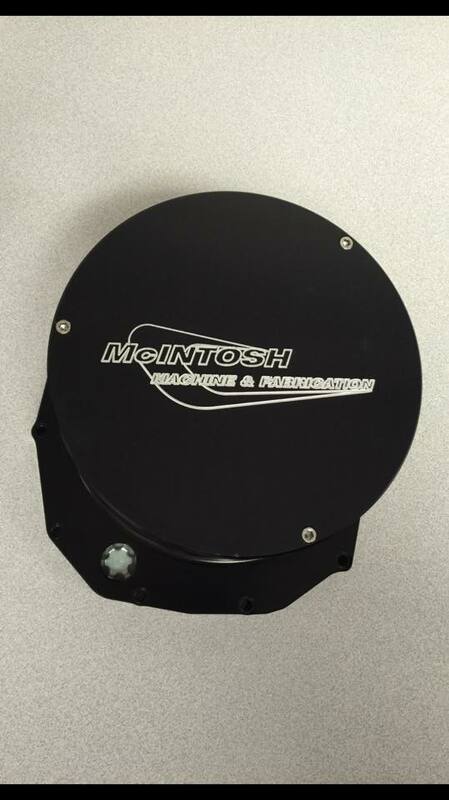 One of McIntosh’s many high performance chassis products. 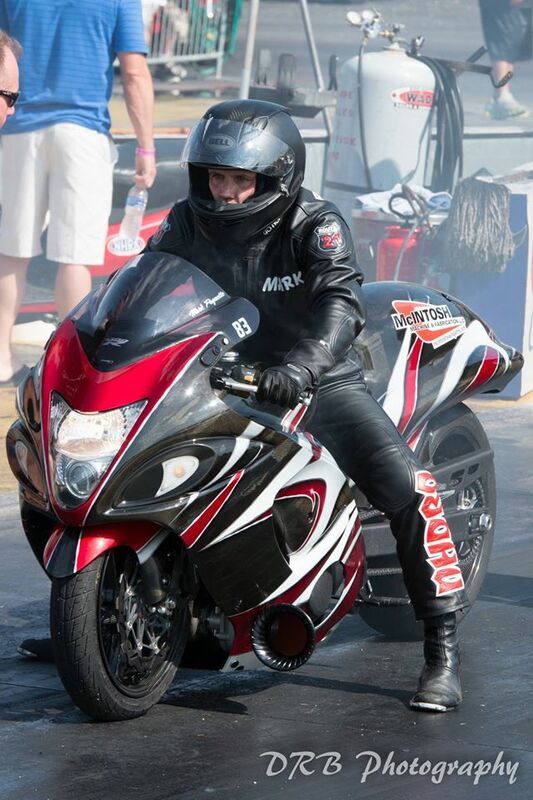 McIntosh of Farmersville, Ohio, has been drag racing since the mid-80s and in 1990 started his company McIntosh Machine and Fab, which specializes in high performance chassis components. 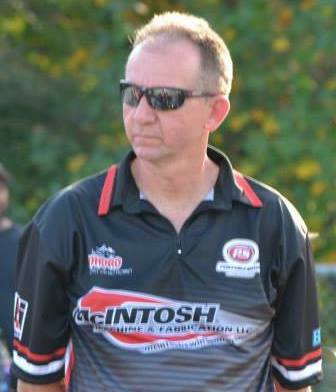 McIntosh has worked with Yoder for years and built all of his Pro Street chassis. One of those chassis Yoder used to set the Pro Street record at 7.11 in 2009 as part of the Ronnie Mitchell Racing team. It was an unheard of number at the time. Read about it here. To set the record at a 6.83 at the same event five years later displays the rapid and incredible advancement of the class. 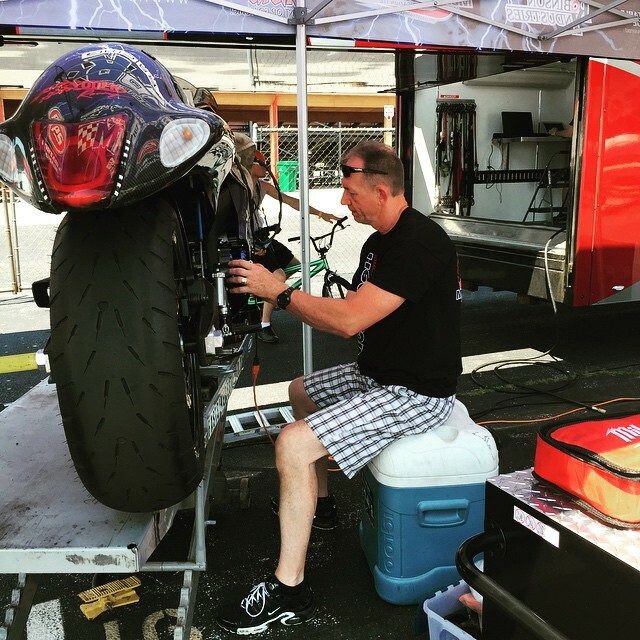 After Yoder built his own bike, he decided to race out of McIntosh’s tent for the 2014 season and the duo has been together ever since. Terry McIntosh, Bud Yoder and Team McIntosh Machine and Fab celebrate a victory. “It was a really good move for all of us,” McIntosh said. The only problem with being the quickest is there is a constant flow of hungry teams and riders looking to take your spot. 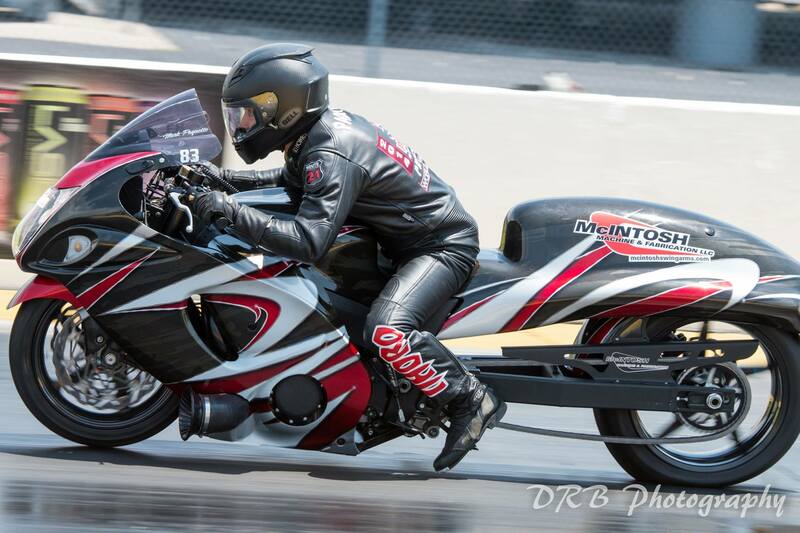 McIntosh and Yoder had the bar raised high on them when Team DME’s Joey Gladstone ripped off a 6.72 at the first race of the year and backed it up. Terry McIntosh searching for more power. “One thing I was not happy about was when we set the record there was a three-hour tear down. When you blow a record out of the water you need to be torn down thoroughly,” McIntosh said. McIntosh is still very impressed with the number and does not doubt it’s legitimacy. “They have a whole different program but we have more in our bike too,” McIntosh said. McIntosh says the low 6.70s are attainable and his team will have to follow the same formula it used to get to the 6.83, by taking risks and experimenting. The team plans to continue learning new tricks in coming months. The year’s cold and rainy spring in the northeast put McIntosh and his team a bit behind. Teammates Mark Paquette and Bud Yoder. “We dos not get much test time. 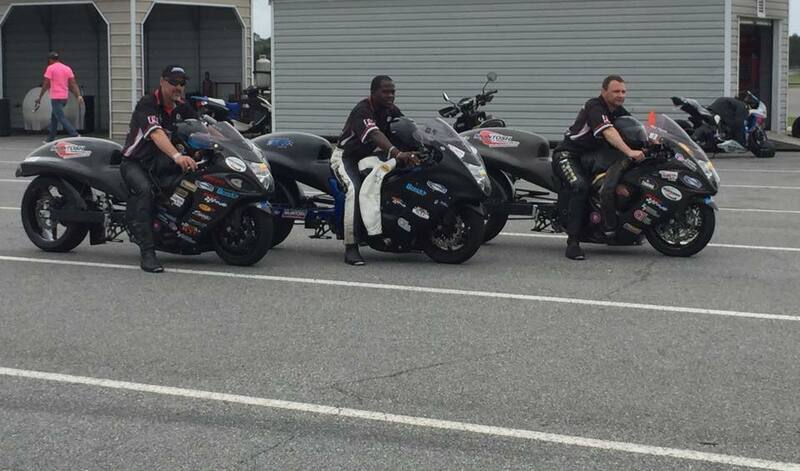 Then we went to Valdosta (Man Cup) and it rained, we went to Indy (NHDRO), and it rained. It was a tough start,” McIntosh said. The crew is not discouraged and there is a belief McIntosh shares with his fellow racers which keeps him going strong. 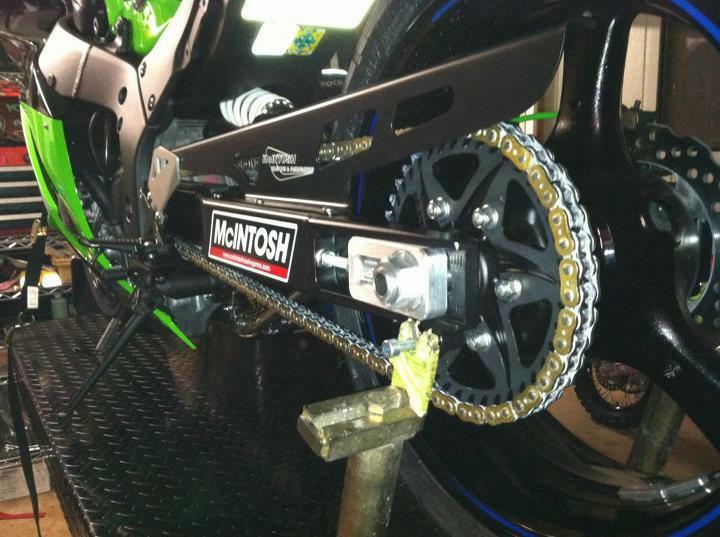 As far as new exciting company news McIntosh became a Penske shock distributor this season. 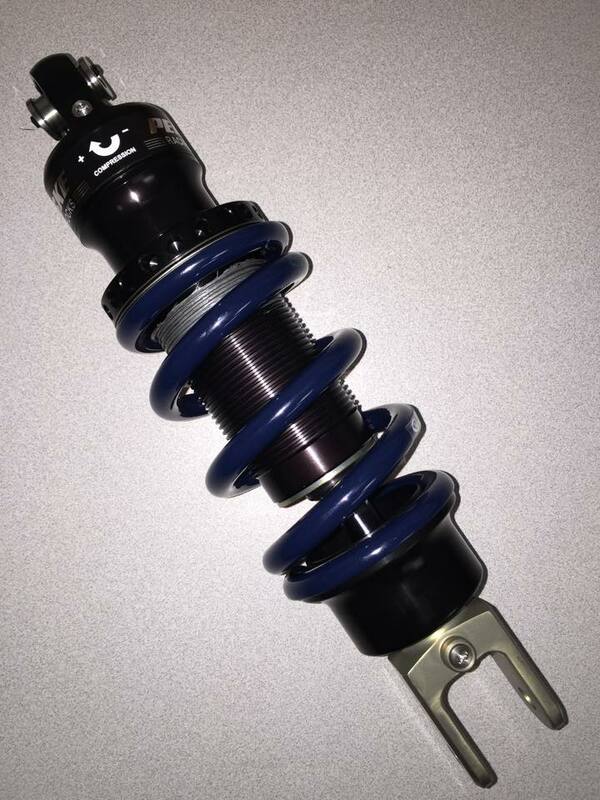 “It was a big move for us so because we had been with JRI for as long as they had been building motorcycle shocks. I could not be happier with the decision. Penske is a great company and they make great products,” McIntosh said. With the addition of Mark Paquette to the team and the benefit of double the data to learn from, McIntosh is eyeing another run at the record. With cool air expected at traditionally quick events in Budds Creek, Md. and Valdsosta, Ga., McIntosh and crew will get prime opportunities.